Sweetly B Squared: Time to Remodel Your Kitchen? Time to Remodel Your Kitchen? This is a guest/sponsored post. Looking for a tradesman to remodel your kitchen? Before you go any further, read these four tips on how to find the right person for the job. Remember, choosing the right tradesman to undertake a kitchen renovation could save you money, time, and a lot of hassle! A kitchen redesign can present a number of challenges if the wrong person is working on the project. Find out what type of tradesman you will need to carry out the job. For example, if you are just having your kitchen cupboard doors replaced, a general tradesman will usually suffice. However, for more specific projects, you might need to call in an electrician or plumber. Look for workers in your area who have the right skills for your project. 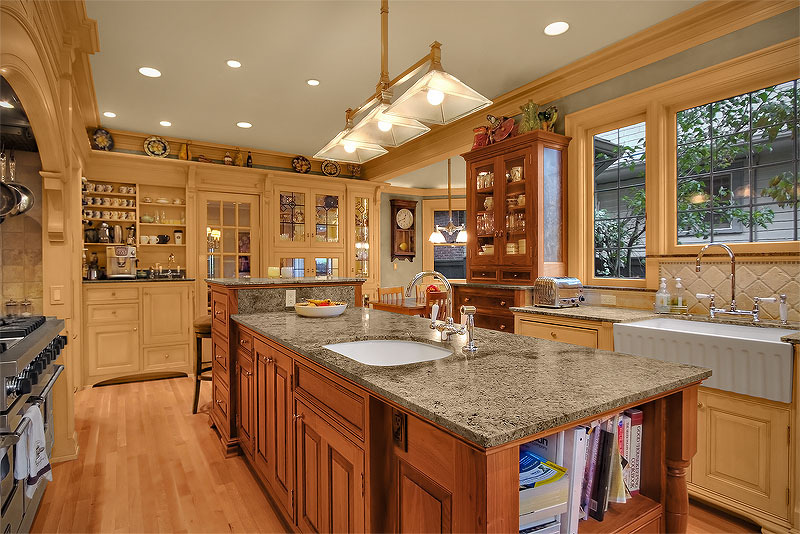 Before you choose a tradesman for your kitchen remodel, do some research online. Using a third-party review website will provide you with a host of information about electricians, plumbers and other tradesmen, with reviews that have been left by people who have previously used their services. This is a great way to check whether a tradesman is right for your project and provides good value for money. Popular sites like Mybuilder.com and CheckaTrade.com use a feedback system, where customers can rank and rate a tradesman after a project has been completed. Once you have found a few tradesmen you are interested in, you can contact them directly and ask for a quote. A good online review website will provide you with the peace of mind you need when searching for a local tradesman online. Online review websites will often provide you with more information about a tradesman, but sometimes you might want to carry out some additional research, especially if you need a worker for a large home project like a kitchen remodel. You can do this by checking out the website of the tradesman you are interested in and finding out how much experience they have. Most tradesmen will include information on their websites such as the length of time they have worked in the industry, their credentials and any other qualifications which make them right for the job. If you can't find any of this information online, contact them directly to find out more. You can ask how many clients they have worked with in the past, how long the project will take and how much it will cost you. When planning on getting some work done on your house you never really know how much things will cost unless you are in the trade. People can often under budget or even over budget and pay far too much for jobs in their home. It is always best to try and find the best price available. When planning a job it's always best to get a few quotes of some tradesman and also do some research yourself to see if you can do anything to reduce the cost of the job. For example, if you wanted to get your living room wall papered, you could take the paper off for the decorator and save yourself some money. Good tips. I'm lucky in that the girl who owned my condo before I did did a lot of renovations on it :) so I don't plan on renovating for a while. At my old house to completely redid our kitchen. My husband is handy, but we did have Lowe's lay out the design for us for free. I so miss that kitchen. It was beautiful.